The question of the location of the museum is not addressed in this report. It is taken that this is the only potential location, although previous reports have proposed alternative locations. At the time of writing the report, the Maritime Institute was developing its plans for the re-opening of the museum in 2009 and this report can only reflect the information made available to the authors at the time. The National Maritime Museum has requested financial assistance from Dún Laoghaire-Rathdown County Council to assist it in its current and future operations. This assessment was carried out to provide the County Council with an understanding of the National Maritime Museum’s current capacity and future potential to fulfil its role as a museum. It was carried out in February and March 2008, and we are grateful to all those that contributed to this work. The National Maritime Museum is housed in a historic church building, the Mariners’ Church in Dún Laoghaire. The collection, belonging to the Maritime Institute of Ireland, is acknowledged as being ’possibly the largest and most comprehensive collection of maritime artefacts in the country’, and includes a comprehensive maritime library. The exhibits cover a wide variety of Irish maritime history with a particular focus on significant events and activities from the Dún Laoghaire region. The long established ferry links to Holyhead have encouraged the museum to develop links to the Holyhead Maritime Museum in Wales. The church stands on a prominent position overlooking, but set back from, the harbour. At present it is separated from the town centre by a park and development site but, by 2012, it is anticipated that a new library centre will be constructed adjacent to the museum. The church was built in 1837 to serve the Officers and Sailors using Kingstown harbour, now Dún Laoghaire. In 1971 the building ceased to be used as a church and in 1976 it was leased to the Maritime Institute, who subsequently purchased the freehold from the Representative Body of the Church of Ireland. The Maritime Institute, which is a limited company and charity, has opened the church to the public as the National Maritime Museum since the mid 1970s. A substantial grant was obtained from the Taoiseach’s Office in 2006 to conserve the fabric of the building and the second phase of major building works is currently underway. However, in recent years the museum opened at irregular times. This led to a substantial drop in visitors, prior to the current closure while the refurbishment is taking place. There is a proposed next phase of capital works that will provide services, including heating and lighting, as well as the new displays. The application to fund these works was submitted to the Taoiseach’s Office in April 2008. If the application is successful, the Maritime Institute’s intention is to re-open the museum in 2009, on completion of these works. The Maritime Institute is also seeking other funds to support the operation of the museum, including launching a public appeal and exploring European Union funding. The museum is operated solely by volunteers, and insufficient income has been identified as one of the factors that has contributed to operational difficulties in the past. From 1995 to 1997, a number of reports were commissioned to look at future development options for the museum, but few of the recommendations were implemented. This assessment of the museum was conducted when it was being refurbished, and access to the building was very restricted. Therefore, the information in this report has been obtained from documentary sources prepared by members of the Executive Committee and the Museum Committee, interviews and a workshop with members of the Maritime Institute on 1st March 2008. Details of the people consulted and a review of the workshop are given in Appendix 5. ‘The Museum Standards Programme for Ireland consists of a series of detailed, and vigorous, minimum standards and objectives that recognise international best practice in museums’, (Heritage Council 2006). These standards cover museum management, collection management, and public services. The Standards programme is not, however, a vehicle for the assessment of a museum’s overall viability. The MSPI consists of 34 minimum standards, of which 25 must be achieved to achieve Interim accreditation, and the remaining nine standards must be achieved for Full accreditation. The assessment of the Maritime Museum against the standards is provided in Appendix 1, and details of the support required to achieve the various elements of the standards is set out in Appendix 2. The members of the Maritime Institute have not yet addressed meeting the standards, but are willing to make the effort to achieve them. There is also a foundation of good practice on which to build and there is the potential for this museum to meet the standards in due course. The enthusiasm and motivation of the volunteers is important, but there is also a need for training and professional support to channel their work so that the standards can be met effectively. It should be recognised that even for museums with full-time professional staff, meeting the standards is not an insignificant activity. Following the achievement of the Interim standards, it would be possible to achieve the Full standards within the required five-year period, with additional support. A new management structure, with paid professional staff, would make it easier to achieve and maintain the standards. The Heritage Council will be providing training courses for museums in the Standards Programme, which would be available to the National Maritime Museum. In addition to this training, the cost of external support to enable the Maritime Institute to achieve the standards is set out below. These indicative costs are based on the Heritage Council’s current daily rate for MSPI assessors of €575 per day, and would total €26,450 over a five-year period. 10-20 days from a teacher or educator. This should be included in the capital project to develop educational resources for the museum. Costs associated with the environmental improvements to the building (within the proposed capital project), and computers and cataloguing software. The Maritime Institute has identified the need to employ a professional part-time curator. If this appointment takes place, the curator would be able to help produce procedures and documents to achieve Interim accreditation. However, based on our experience with other museums, the Maritime Institute would still need some outside support to achieve the standards, as the part-time curator would not have sufficient spare capacity within their day-to-day duties. Although the ability of the museum to achieve the MSPI standards will be an important indicator of its likely successful operation, there are other critical factors relating to the standards, which will affect the viability of the museum and its ultimate long-term ability to thrive and develop. These factors, and the interrelated stages of museum development, are considered in more detail in the following sections and summarised in the diagram at Appendix 3. 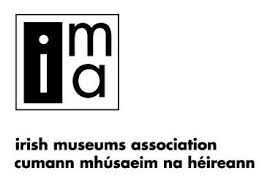 The Maritime Institute needs to formally adopt a mission statement that sets out the role of its museum within Ireland. At the workshop held on 1st March 2008, there were a range of options put forward for the museum’s role, which remained diverse despite a previous meeting held to establish the museum’s mission. It is necessary for the Maritime Institute to clearly identify the role of the museum, before developing the detailed specification for capital works and the brief for the museum displays. There is currently a great deal of interest and activity in relation to maritime collections in Ireland, championed by the Heritage Council which has advocated the development of a national maritime museum together with a number of regional museums, (see Appendix 4). The Maritime Institute should establish the position of its museum in relation to these proposals and the possible new developments. Although the National Maritime Museum has the title ‘National’ it has been difficult for the Maritime Institute to fill this role with their museum. In deciding on the future role and mission, the Maritime Institute needs to consider carefully whether it will be in a position to function as a national museum or whether a regional role is more deliverable. We recommend that the Maritime Institute begins discussions with stakeholders and potential stakeholders to clarify which role and mission would attract most financial support. Organisations to be consulted should include Dún Laoghaire-Rathdown County Council, the Heritage Council, Dublin Tourism, the National Museum of Ireland and the Dún Laoghaire Harbour Board. There are many options that the Maritime Institute may want to investigate for its future role with stakeholders, and below are three that could be considered. They are not mutually exclusive and are included in this report to give the Maritime Institute and the County Council an idea of the potential complexities of different strategies. Key factors in relation to each option are summarised in the table below. A. A memorial museum, commemorating Irish seafarers but with the Mariners’ church as its focus. This would provide a similar level of service and facilities to the existing museum, but with a refurbished building structure and some improved displays, focusing on the church and its role in commemorating the lives and work of Irish seafarers. The museum would be run, almost exclusively, by volunteers. The church could be used for concerts and events. The addition of the restaurant and tower visits could provide a useful income stream, if revenue forecasts (including maintenance and renewal costs), give a positive return. This option is unlikely to attract a very large number of visitors but running costs would be low, and the church building would be in use. If sufficient funding for completing the capital works is not obtained, this may be the only realistic option in the short term. There is not currently a Dún Laoghaire museum. As the town, Dublin and maritime history are interlinked, the museum could tell this regional story effectively. It would serve as good introduction to the area and could possibly house the Tourist Information Centre. It would contain modern displays, boats, cabin sections etc, with video and interactive exhibits, and require major fit-out construction to build the displays. A number of new significant exhibits would need to be acquired to develop the exhibitions, and it would require significant expenditure. Once the museum displays are built the museum could operate at a relatively low level, with limited opening, using volunteer manpower. However, this would not make the most of the capital investment and the museum’s potential to contribute to the cultural life of the community and attract visitors to Dún Laoghaire. Therefore, the museum would be most effective if a manager and a part-time curator were employed. C. A national maritime museum, which covers all the maritime history of Ireland. The Maritime Institute could build on the quality of their collection and become the National Maritime Museum both in ‘title’ and in reality, being recognised as the National Maritime Museum in Ireland. It is unlikely that any other national maritime museum developments will begin in the near future and, if they take place, the Dún Laoghaire National Maritime Museum would be in position to join them in a federated operation. Such a museum would tell the story of all of Ireland’s maritime history and would need to display objects that came from throughout Ireland. In keeping with the visitors’ expectation of a museum using the term ‘national’ it would need to contain very high quality modern displays, boats, cabin sections etc, with video and interactive exhibits, and would require major fit-out construction to build the displays. It would require the acquisition of a number of major exhibits, including boats from partners and others, and it would require significant expenditure. Sourcing, acquiring and preparing exhibits would take time and would be best achieved once permanent staff have been recruited. The interior space, and lack of access to sea, will make the display of vessels difficult and visitors may expect these as part of a national museum. This would be a very high cost option, as it should open daily, have exciting displays and should have permanent staff in a new management structure. Scope Taking the church as its focus, it covers some aspects of maritime history and the memorial role. The history and development of the Dublin region and its relationship with the sea. Comprehensive maritime history of Ireland, and the sea. Displays Includes similar, but improved, displays, from the previous museum operation. New displays to a high standard, using modern display techniques. New displays to a high standard, using modern display techniques. Collections Mainly the existing collections with others obtained on an opportunity basis, as and when possible. Some new collections to reflect the region, and cover the regional maritime activities and the sea. Substantial new collections to reflect the region, the nation and comprehensively cover the maritime activities and the sea. Governance Maritime Institute, with museum committee as now. Joint arrangement between regional partners and the Maritime Institute. Joint arrangement between national and regional partners and the Maritime Institute. Management Museum and library committee. Management committee with representatives of all bodies. Management committee with representatives of all bodies. Limited school visits. Library available for researchers. General visits. Library available for researchers and linked to Dún Laoghaire libraries. General visits. Outreach programme. Library available for researchers and linked to Dún Laoghaire libraries. Partners Mainly lenders. Regional, and maritime organisations. Ideally the museum would become linked to a group of maritime museums. Regional, national and maritime organisations. Ideally the NMM would lead, and become linked to, a group of maritime museums. Opening hours Weekends in season, holiday weekdays, other days by arrangement. All weekends, and everyday from Easter until the end of October. Every day, all year. Restaurant Possible, but would have to completely stand alone and not need museum visitors. Possible, with more use seasonally when museum open. Possible, with use by museum visitors. events A range of concerts or events is possible if seating, heating and lighting is provided. A range of concerts and events should be provided. A range of concerts and events should be provided. Tower views Possible, if lift and viewing platform installed and the operation is viable. Possible, if lift and viewing platform installed and the operation is viable. It would provide a useful view to interpret the area. Possible, if lift and viewing platform installed and the operation is viable. It would provide a useful view to interpret the area. The Maritime Institute has submitted an application to the government for funding to complete the capital works and, if successful, it will lead to the reopening of the museum with new displays. The specification for these works should be informed by a clear identification of the role that the museum will fulfil and the external funding available for future operation. The programme to fit out the museum and reopen in 2009 will be extremely challenging, and is unlikely to be achieved without additional professional help. The context for the museum’s role could be affected by the report launched on 9th April 2008:The Vision- Tourism Master Plan for Dún Laoghaire-Rathdown. It identifies the Maritime Museum as a key project in the ‘heritage cluster’ and the hub for a themed maritime trail. One of the report’s proposals is for an elevated walkway that would connect the new library and the Mariners’ Church with the Carlisle Pier and waterfront. There are also proposals for a general regeneration of waterfront activities, including a water park and water dome. If these schemes were implemented they would have a beneficial impact on the number of visitors to the area and consequently to the museum. A 5-year outline of income and expenditure, with a slightly more detailed breakdown of one year’s expenditure (year unspecified) has been provided by the Maritime Institute: Five-Year Plan 2008-2012. This is summarised in the table below. Year 1 is the year before opening. The income and expenditure plan is in Euro, and excludes elements included in the capital project. The expenditure projections include a sum of €85,000 for a manager, curator and part-time librarian by Year 3. A straightforward analysis of the projections indicates a total shortfall of revenue funding over the first five years of €204,328. However, these projections appear optimistic for the reasons indicated below. The admissions income is based on about 12,300 visitors in Year 5 when the museum would be open for 300 days a year. This estimate may be on the low side as the nearby Dalkey Heritage Centre receives c.20,000 visitors per annum. The museum would also be likely to receive more visitors if the plans outlined in the Tourism Master Plan come to fruition and more visitors are attracted to the area. It is prudent not to over estimate visitor admissions and income, and to treat the income from additional visitors as a bonus. However, of more concern are the estimates of income relating to tower viewing, letting income and the restaurant franchise. The viewing tower platform has the potential to generate additional revenue, and there are good examples of church towers being used in this way to financial advantage. The predicted income rises from €6000 to €11,700 by Year 5, based on a charge of €3 per person. However, managing this operation will require additional staffing and maintenance costs which will need to be reflected in the budget. The architectural and planning aspects of installing a lift in a historic tower are also complex. Therefore, this work may not be completed by the museum opening date and so may not contribute its share of the income in the first year. The restaurant franchise income is based on a share of profits from a new building on a relatively small site that does not yet have a detailed design or planning permission. As with the tower viewing, it may not contribute its predicted income in the first year of the museum’s reopening. A simple analysis of the likely returns from a restaurant of this size suggests that the income in future years is unlikely to reach the level indicated, unless there is a very strong unmet demand for restaurant space in Dún Laoghaire. From 2012, the planned new library will also have a catering facility adjacent to the museum. The lettings income is shown as increasing from €15,000 to €20,000. This seems an ambitious target, although the Maritime Institute have had interest expressed from two potential tenants that have funds available at this level. However, if the likely users are organisations that would normally use community premises, churches or church halls, it is unlikely that the income target will be met. To achieve any substantial income the facilities will need to be positively marketed to potential users, and the museum will have to meet the requirements of users, such as closing early to set up for events. To achieve this level of income outside normal opening hours there will be increased costs, which may not be reflected in the expenditure projections. These three sources of income (tower, restaurant and lettings) are shown as contributing €33,000 (50% of the total income) in Year 2 rising to €51,700 (41% of total income) in Year 5. If these income streams do not begin as expected, or contribute less than predicted, the total shortfall over 5 years will be substantially greater than the planned €204,328. The present income and expenditure projections are not accurate enough to enable a business plan for the redeveloped museum to be drawn up. The Maritime Institute is recommended to take external advice to ensure that realistic and informed estimates of expenditure and income are obtained. Of particular importance, is the need to ensure that proposed income streams, such as from the restaurant and lettings, are certain to make a contribution. Whilst the level of deficit can be debated and refined, it is clear that the Maritime Institute is proposing to operate the museum in a deficit mode. It is common for independent museums to operate a deficit budget with external sources of grant income covering the excess expenditure. It is essential that external contributions are secured to cover elements of the expenditure, as without them, the proposed projections are not sustainable and a viable operating model is not in place. The lack of professional management of the museum has been identified as one of the major factors contributing to operational difficulties in the past. To rectify this the Maritime Institute has planned for three new staff posts to operate the museum at an enhanced level of service for 300 days a year: a museum manager, part-time curator and part-time librarian This extended period of opening, and the management of lettings and a restaurant franchise, would be very unlikely to be achieved without a full-time paid museum manager. For comparison Dalkey Castle Heritage Centre, which is open all year, employs a full-time manager, supported by two supervisors and staff from a government employment scheme. The need for the part-time curator will depend on the mission and role identified for the Maritime Museum. However, the Maritime Institute has an important collection, which would benefit from having a professional curator and such a post will be essential if the museum wishes to perform more than a local role. The Museum is planning to borrow a number of exhibits for its new displays and loans from other major museums, such as the National Museum of Ireland, will be dependant on there being a professional curator in post. The curator would also be able to support, and deputise for, the museum manager. It is possible to maintain the Collections Management standards in the MSPI without a paid curator, but such a post would enable the museum to maintain these standards more effectively. The museum has an important library collection and the Maritime Institute has identified the need for a part-time librarian. Although this post would be desirable, it has a revenue cost associated with it. The work could be carried out in a different way with support from the County Council to catalogue the museum’s library within the Dún Laoghaire Library’s cataloguing system, together with some ongoing support for the volunteer librarian. The museum is managed by the Museum and Library Committee of the Maritime Institute of Ireland. This responsibility is delegated by the Executive Committee, which manages the Institute and holds the Mariners’ Church in trust on behalf of all members of the Institute. The museum has been operated in this way since 1976 and many museums operate in a similar manner with oversight by a volunteer committee. The main problems that the National Maritime Museum has experienced relate to management, finance and operations, rather than governance. At the workshop held on 1st March 2008, some different governance models were discussed. These included the National Maritime Museum becoming an integral cooperative structure jointly with the National Museum of Ireland, or forming a joint operating company with the County Council. Although the present governance arrangements are not incompatible with the future development plans for the museum, they should be reviewed once the museum’s mission and role has been determined. In particular, if more partners become involved in the operation of the museum, the governance would need to change to reflect their involvement. As indicated in section 3.3 the Maritime Institute is planning to operate the museum in a deficit mode and therefore will need external funding to cover a proportion of its expenditure. The level of funding required will be informed by the refinement of the mission and operational business case, which in itself will be informed by the funding available for the remaining capital works. If a high quality museum were developed, with a robust budget, it would be in a good position to contribute to the culture of the County and the proposed heritage cluster. In these circumstances the County Council, or another partner, could consider supporting the posts of manager and part-time curator identified by the Maritime Institute to ensure that the museum operates effectively. The museum’s financial projections include a figure of €75,000 per annum which would seem realistic for these two posts including overheads. (The issue of support for the museum library is dealt with in section 4.2 below). During the workshop held on 1st March 2008, some members of the Maritime Institute and the Museum Committee indicated that their preference would be to form a joint operating company with the County Council. If this proposal were investigated fully it is likely to lead to better management and a more effective museum that contributes to the cultural life of Dún Laoghaire. However, this will have substantial financial and administrative liabilities for the County Council. The County Council could support the Maritime Institute with a revenue grant. This could be on the basis that the County Council is represented on a new management board for the museum, and that annual performance targets are agreed in relation to the grant. This would be similar to the arrangements at the Dalkey Heritage Centre, although there is a fundamental difference with the County Council owning the building in this case. The County Council could run the museum with support from the Maritime Institute, if this was the most effective way of providing a museum of benefit to the local community. However, as with option one, this will have substantial financial and administrative liabilities for the County Council. The County Council could provide support in ways that are low or at no additional cost. The County Council would, however, need to consider whether such support would set a precedent for other organisations in the County. The museum needs to implement a new electronic cataloguing system to help them meet the MSPI standards, and it would be most effective if they used a system which would include both their library and the museum exhibits. To improve access to their library, the books could be catalogued on the County library system, although it would be essential for access to be possible from within the museum. If the County system was one that had a museum module, the County Council could support the museum to catalogue all their material on the same system. A small amount of ongoing support and advice would be necessary to ensure that the new acquisitions are catalogued appropriately and that the museum library operates effectively. It would require support from a librarian as well as computer resources. The museum will require a range of insurances from public liability to specific insurance relating to lift operations. The County Council could consider if they can add these insurances to the policies it holds at minimum cost. The museum will need a range of advice and premises inspections. The County Council could offer the museum staff the opportunity to attend its training courses when appropriate courses are running and places are available. The museum could participate in the County Council’s purchasing arrangements to enable the museum to acquire essential supplies at a better price than they would obtain alone. The County Council could ensure that appropriate directions signs are provided to the museum. The County Council could publicly indicate its support for the museum, and use its influence to encourage support from other organisations such as Dún Laoghaire Rathdown Tourism, the Dún Laoghaire Harbour Company and the DART operator. The County Council could also ensure that the museum is promoted through any appropriate means and activities under its control. The Museum Standards Programme for Ireland consists of 34 minimum standards, of which 25 must be achieved to achieve Interim accreditation, and the remaining nine standards must be achieved for Full accreditation. This report concentrates particularly on the 25 standards required for Interim accreditation, as work will need to begin in the near future to achieve these. The sections are numbered to reflect Heritage Council’s scheme for the particular standards. As most of these are Interim standards and some are Full standards, the numbering scheme is not always sequential. In principle, the National Maritime Museum meets the definition of a museum. However, the Maritime Institute needs to set out explicitly how its museum meets the MSPI criteria. The Maritime Institute of Ireland was formed in August 1941 and it is a charity no. 5946. It has a Memorandum and Articles of Association and is a limited company registered in the Republic of Ireland, no 10232. The members of the elected Executive Committee are registered as directors of the Company. The Memorandum sets out one of the objects of the Institute as ’to establish, equip and maintain museums, meeting rooms, libraries and lecture or conference chambers’. The Executive Committee manages the Institute and holds the Mariners Church in trust on behalf of all members of the Institute. The Executive Committee delegates the management of the museum and library within the Church to a museum and library committee, and this is one of the main functions of the Institute. The Memorandum specifically allows the Institute to operate a museum and library. The Maritime Institute should revise its constitution to clarify the terms of reference of the museum and library committee, clearly set out its delegated powers, and to indicate how it discharges its curatorial and management functions. The collections are owned by the Maritime Institute, although a number of significant items are on loan. In reviewing the terms of reference of the museum and library committee, it would be useful to clarify if the committee itself has the power to make acquisitions or whether each acquisition needs to be ratified by the Executive Committee or the Maritime Institute. This would help clarify where responsibility lies for the collection in terms of ownership, care, control, growth and disposal. In order to comply with the MSPI’s criteria for disposal, any decision by the Maritime Institute to dispose from the collection should only be carried out on the advice or recommendation of the museum and library committee. To be eligible for the standards programme, specific details of the ownership and type of the collection will need to be provided. Therefore the opportunity should also be taken to clearly identify the material on loan and ensure that the loan agreements are up to date. Participants have three years to reach these minimum standards after joining the programme. The museum and library committee of the Maritime Institute of Ireland aspires ‘to have a well-run maritime museum, which forms part of the culture and tourist attractions for Dún Laoghaire’ and ‘should also be of a national character, commemorating Irish seafarers’. The present statement of aspiration does not set out clearly enough the role and mission of the museum. The Mission Statement should be revisited as part of the review of the museum and library committee remit, so that it sets out clearly the role that the Maritime Institute wishes for their museum. For a museum with a national remit, this would include identifying how its national character is to be developed and how collecting on a national basis would be defined. This will also be of use to other museums with maritime collections so that they are aware of the areas in which this museum is operating, or planning to operate. This standard is critical to the success of any museum and the mission of the museum needs resolution before planning for the reopening is completed. To formally meet this standard, evidence of formal approval of the mission statement by the Maritime Institute will need to be provided. The development of this policy will depend on the mission statement that is developed for the museum. The Maritime Museum will need to develop a collection policy following the guidelines set out by the Heritage Council. It needs to clearly set out both the geographic area and the historical time period covered by the museum collections and the objectives for future collecting. It should include an assessment of the limitations on collecting caused by financial and storage constraints. The development of this collection policy should take place in consultation with other organisations that collect maritime material throughout the Republic and probably the UK, to avoid duplication and overlap. The policy can then be made available to the public and will indicate which items the museum is interested in collecting (and those in which it is not interested) and therefore encourage suitable items to be offered to the museum. The Maritime Museum will need to develop a disposal policy following the guidelines set out by the Heritage Council. Such a policy will set out a presumption against disposal from the collections, and that items are not disposed of for purely financial reasons. It will also provide a process for disposing of items no longer required by the museum, and will engender public confidence by indicating that the museum only disposes of items under exceptional circumstances. The Maritime institute owns the building but evidence of ownership would be required to meet the standards. 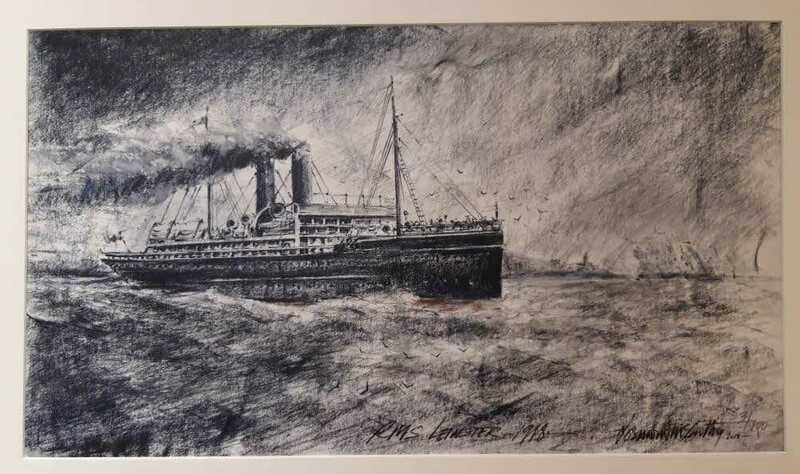 The collection is owned by the Maritime Institute, although a number of significant items are on loan, and comments in section 2 of the Eligibility Criteria relate to clarification of the role of the museum and library committee. A Strategic Management Plan and 1-Year Implementation Plan is required as evidence that corporate management is being effectively discharged and monitored. The Museum has an outline plan for the period 2008-2012 and this should be reviewed once the mission and development plans have been clarified. The Heritage Council produce Guidelines and a Fact Sheet (which includes a recommended template), and the museum could use these if required. Details of future projections for income (for five years) and expenditure (for one year) were provided. As with 2.3 above, these will need developing in more detail and, to meet the standards, evidence of formal approval by the Maritime Institute would need to be provided. Details of financial procedures, the current year’s budget and proposals for estimates would also be required. It would be useful to explain the financial monitoring process to identify the responsibilities of the Executive Committee and the museum and library committee. The museum accounts are kept by the treasurer of the museum and library committee, and submitted annually to the treasurer of the Maritime Institute. The Maritime Institute is debt free and its accounts, which are audited annually, are up to date. To meet the standards audited accounts for the previous two years would need to be submitted, clearly indicating the income and expenditure which relates to the museum. The Mariners’ Church has had a poor environment in the past. The development project has provided an opportunity to make substantial improvements to the environment of the museum. The completed works have made the building wind and water tight and introduced UV filtering over the stained glass windows. The planned next stage of the works will provide new heating and lighting systems, which will improve the environmental conditions. Minimise sources of dust, dirt and pollutants. The refurbished museum should have good environmental systems and light control, and the Maritime Institute should ensure that the new systems enable them to provide the evidence required. Details of the systems, and how environmental conditions are maintained and recorded, should be submitted. It would be useful to indicate who is responsible for monitoring the system, and within the museum, whose responsibility it is to take action in the event of conditions being outside the accepted range. Pest control measures should also be submitted. The newly refurbished church should have its condition monitored regularly, both as a housing for other exhibits and as an exhibit itself. It would be useful to record the condition of the collection as it is returned from temporary storage during the refurbishment to the new displays or new storage locations. The condition of the building should be checked annually. If a museum manager or curator is appointed details of the appropriate job description should be provided, together with details of the type and frequency of maintenance. This will be particularly important as the Mariners’ Church is itself part of the collection. A risk assessment of the collection would be useful. This could be prepared as part of a review of the collection as it is put back on display or into appropriate storage. The standard requires the museum to have one member of the museum responsible for collections care, and regular access to conservation and preservation advice. If the planned appointments take place, this role should be fulfilled by the new museum manager or curator. These will be required for the museum and can be developed as the museum prepares for opening. The Heritage Council produces a Fact Sheet setting out how to produce these. The museum uses a receipt form which also provides a record for loans. However, for donations or purchases it does not clearly identify a change of ownership. The form should be reviewed to ensure that it meets the Heritage Council’s guidelines, and that it makes clear to a donor or seller that ownership has been transferred to the museum in perpetuity. As the museum prepares for reopening, the opportunity should be taken to produce a documentation procedure manual, which sets out explicitly the steps to be taken when items are acquired. This will be particularly useful as it is likely that a number of different people will be involved in different acquisitions or different stages of the acquisition process. Ideally the existing records should be reviewed to ensure that change of ownership has been clearly identified and the seller or donor has signed to consent to the ownership change. Details of the entry process for items being taken on loan for exhibitions should also be provided. A process for managing items that are removed from the museum should be included in any procedure manual. These exit records are required, and need to include the return of items from any temporary exhibitions. This needs to be developed. It is important to develop this procedure before the museum reopens and exhibits are moved to their display or storage locations. The existing records provide the basis of an accession register and 96% of the non-library (book) exhibits have been photographed. The records are in a Word file and a printed copy exists with some hand-written entries. This method, although providing a record of exhibits, is not ideal as the museum develops as it is inflexible and provides no options for searching for data. It is planned that a new library will be built in Haigh Terrace adjacent to the National Maritime Museum by 2012. It would be useful to discuss with the library service whether the catalogue of the Maritime Institute’s library could be incorporated into the Dún Laoghaire library system. This would enable users of the Dún Laoghaire library service to search for related materials in the Maritime Institute’s library and to be able to use them, probably by appointment. Many library-cataloguing systems can be extended to incorporate fields to record museum exhibits, and the best solution would be to use a system which enables the museum’s library and exhibits to be available on the same system. To meet the standards two copies of the accession register should be printed on archival paper and bound, and stored in separate buildings. This process should be repeated on an annual basis for the new items added during the year. The electronic record should be backed up to another location so that there is a record held outside the museum’s premises. Further comments about the choice of a new database are given in 4.13 below. All the items in the collection should be checked to ensure that they have been permanently marked with their accession number. The museum must have a consistent housestyle with labelling which works for presentation and interpretation. The museum has no specific policy for using the Irish language. The redevelopment of the museum provides an opportunity to ensure that all text panels and labels are readable by all visitors. Care will need to be taken when briefing the designers to ensure that this requirement is clearly understood and other factors that reduce readability (such as low light levels, height and positioning of text, unsuitable text, background colours and images) are avoided. The labels used in the new displays should be planned to ensure that they have a minimum font size of 14 point and that the positioning is suitable for wheelchair users. The labelling for any temporary exhibitions will naturally vary in style and approach, but applying the guidelines in this section is recommended. The redevelopment of the museum will require an extensive capital budget to provide the type of displays that visitors would expect, and pay, to see in a major museum development. If regular temporary exhibitions are planned, a budget for these should be identified. The exhibitions within the museum will need maintenance. This standard asks for details of the process and who is responsible. A programme is required to meet the standard. As part of the planning for reopening, advice should be taken to ensure that the displays are useful for educational visits, and that appropriate facilities are provided. This would include providing a gallery with interactives suitable for younger children, having a teaching space, with spaces for coats and bags and for lunches to be eaten indoors. It would also be useful to have the appropriate number of suitable toilets adjacent to the teaching space. Material and resources for teachers can be made available on the museum’s website. A trained teacher should help develop the material and train the museum volunteers to be able to support the education visits. Details of the system to be used within the museum would be required. There are existing clear signs on and near the museum, although all would need refurbishment. This is required and is in the plans for reopening. Toilets will be provided within the newly refurbished premises. It is important that enough toilets are provided to cater for school groups, parties and concert visitors, rather than just the number that would be provided for general public visiting in normal hours. Problems with inadequacy or cleanliness of toilets are often a major factor that can reduce the perceived enjoyment of a visit and, consequently, the number of positive recommendations to others. may provide some analysis. Separate systems may be needed to record library users, and possibly event users. It would also be useful to keep a record of research enquiries received by telephone, in person and by email. These can be introduced as the museum reopens. It would be useful to make regular surveys of visitors, particularly to gauge the response to the new displays. Simpler self-completed surveys or comment cards could be used. Alternatively, a selection of visitors could be surveyed by museum volunteer staff, if this could be achieved without detriment to their invigilation duties. The Heritage Council has a template available to use for recording visitors. The following nine minimum standards have to be attained for Full Accreditation. This is the stage after Interim accreditation has been obtained, and participants have up to five years to achieve these standards after joining the programme. This will be required, and will need to relate to the museum’s mission and any temporary exhibitions programmes that borrow items. This will be required. It should identify action to be taken within the museum. Consideration should be given to developing this in conjunction with the new library to enable resources and expertise to be shared. This is required and needs to identify the care of the collections within the museum. The museum has most items recorded, although the documentation would need to be reviewed and improved as part of the change to the new database. Agreements and records should be reviewed in the light of this standard. The museum is considering a new database for recording its collection. Using an Access database or museum system could provide a good basis for a catalogue, but details of the data standard and procedures will be required. The new database should include all the fields set out in this section of the standard. Regular surveys will be required to assess the success of any exhibitions in the new museum. In the first instance these could be used to record responses to the new displays. This would be useful to inform the future acquisition and exhibition policies. This would be required. As the museum is unlikely to have large number of changing exhibitions, this would be relatively straightforward to produce. This would be required and can be developed from experience gained from the education activities developed to meet standard 6.1. We estimate that a museum professional would be required for 1 day to help with this aspect, plus any legal advice that may be required to amend the Memorandum and Articles of Association of the Maritime Institute. The standards in this section (mission statement, collection policy, building ownership, strategic management plan, financial plan, accounts) are critical to the success of the museum, but depend on clarification of the precise role and future operation of the museum before they can be achieved. The Maritime Institute will need to develop their mission themselves but external support would be required to achieve the rest of these standards. Working with the Maritime Institute, we estimate a museum professional would need to be employed for 20 days to assist with achieving these standards. The ability to achieve some of the standards in this section (monitoring and controlling museum environment, safeguarding the collection) will depend on the successful completion of the development of the Mariners’ Church building. If the remaining capital works are not completed, it will be difficult to achieve the standards in this section. The Maritime Institute is at a critical stage in developing the new museum facilities and assistance at this stage would ensure a successful outcome. We estimate that 4 days advice is needed from a trained museum conservator to ensure that the proposed heating and monitoring systems are appropriate. At a later stage, we estimate that training in safeguarding the collection would also be required. The other standards in this section deal with putting in place effective processes for the management of the collections: disaster response procedures, entry and exit record system, movement control, and accessions register. To develop these processes, we estimate 10 days external support from a museum professional would be required. The ability to meet the standards in this section (exhibitions, long-term and temporary, labelling, visitor statistics, educational activities/programmes, receipting system, toilets, signage) is mainly dependent on the successful completion of the museum redevelopment. To support the achievement of these standards, we estimate 1 day of external support from a museum professional would be required. In Ireland there is a growing interest in the future of maritime collections. The Heritage Council has taken a leading role in this area, and has advocated the development of a national maritime museum together with a number of regional maritime museums to reflect regional differences. The Heritage Council has recently commissioned two reports which could affect the development of the maritime museum in Dún Laoghaire. Audit of Maritime Collections- a report for The Heritage Council by Darina Tully, October 2006. In the 26 counties of the Republic, Darina Tully and her team identified 170 collections cared for by a wide variety of organisations including museums, heritage centres, clubs and private owners. This study concludes that Cork harbour would be an appropriate location for the creation of a maritime museum, but points out that it would cost about €20m and implies that it would take a number of years to develop. Dr. Philip Smyly, Barry Desmond, Michael Prior, Padraic O’Brolchain, Roger Kirker, Paul Durkan, Tom Moran, Pauline Aleen, Seamus O’Connor, John Moore, Noel Vaughan, Pat Sweeney, Eoghan Ganly. (b) The tenderer will also be required to assess the future potential of the Museum to fulfil, or partially fulfil, the requirements of the Museum Standards Programme and to make recommendations as to how the Museum could fulfil, or partially fulfil, the Museum Standards Programme. (c) The tenderer will be required to make recommendations as to changes, if any, in the Museum’s structure, staffing, outside professional input, etc. (d) A general assessment of the financial implications of fulfilling, or partially fulfilling, the standards will be required in order to give the council an indication of the likely financial shortfall, if any, that the Museum may experience. (e) An assessment of how the Council could support the Museum in non-financial ways.